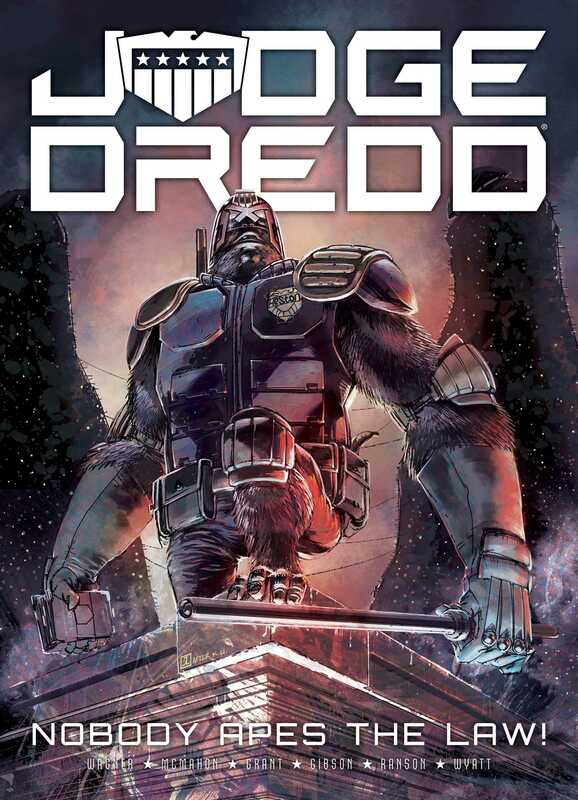 This swinging anthology of ape-related stories explore what happens when criminals try to monkey around with the law in Mega-City One! Spawned from apes who were genetically altered after the Atomic Wars, a sizeable population of simian citizens now live in Mega-City One. Many have turned to crime, including Don Uggie Apelino and his ape gang. Harry Heston, on the other hand, has taken it upon himself to enforce the law, having drawn inspiration from the Big Meg’s most notorious lawman, Judge Dredd. John Wagner is the co-creator of Judge Dredd, Strontium Dog, Ace Trucking Co. and Button Man, amongst many others, for 2000AD. Alan Grant co-wrote many of the classic 80's Judge Dredd strips as John Wagner's writing partner, before solo work on Judge Anderson and a celebrated run on Batman, among many others.